Serving Full-time, 365 days a year, since July 2016. In 2018, we served 1,129 at our regular clinic and 1,600 at our free medical outreach and 2,500 in our mobile clinics to rural villages for a total of 5,229. 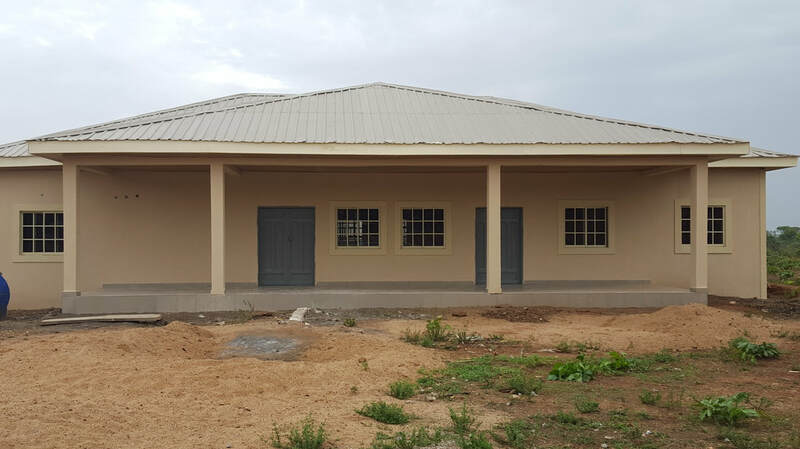 The construction of the Iburu Clinic (located 45 minutes southeast of Kaduna) was completed in July of 2016. 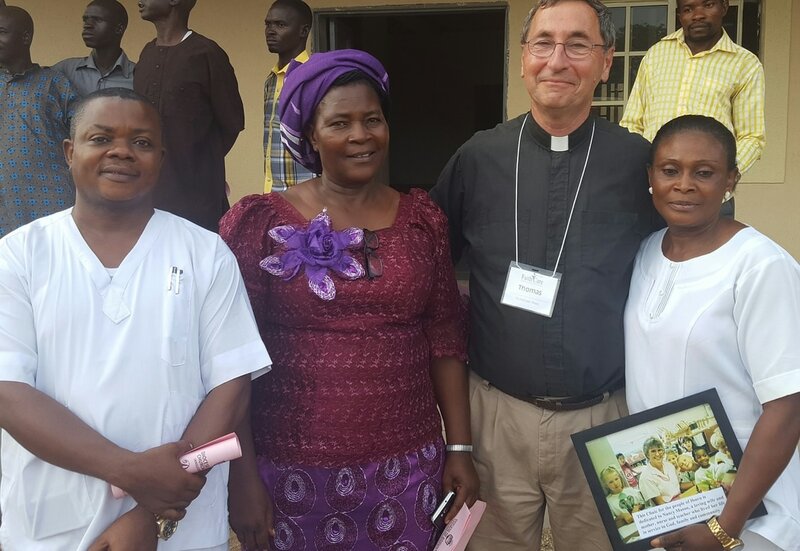 Following the dedication service on July 31, we opened for business on Monday August 1 with an intensive three-day medical mission – again in partnership with FaithCare. We currently have a full time nurse staffing the Iburu Clinic. One of the doctors from the Kateri clinic serves at Iburu one day per week. We are currently searching for a full-time doctor who is called to rural healthcare ministry. 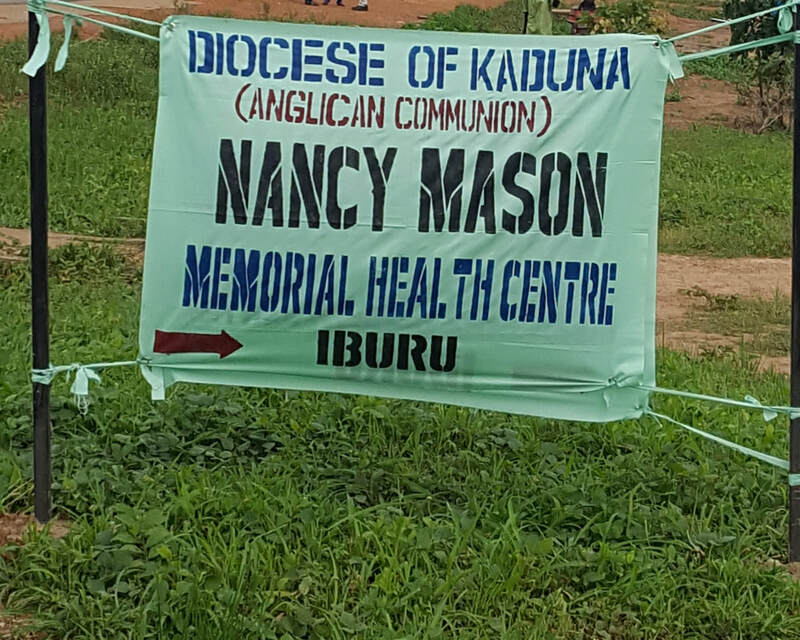 Full official name of the clinic is The Nancy Mason Memorial Clinic at Iburu. Funds to build this clinic were donated by the family of Nancy Mason in her memory. Nancy was a school nurse who spent her life serving children. When she was a child, she dreamed of being a missionary nurse, but never realized her dream due to early marriage and children. After she died of cancer at a relatively young age, here family wished to donate the cost of this clinic in her memory. 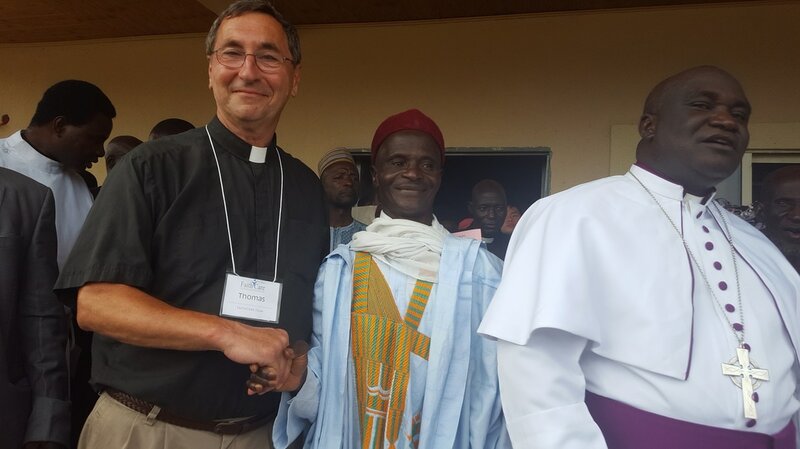 The land for this clinic was donated to the Anglican Diocese of Kaduna by the local Muslim village chief with the provision that the diocese would build a medical clinic here. The chief had lost his own daughter due to a lack of medical care in the village. He donated the land to insure that others would have medical help when they needed it. In addition to Dr. Danhunse, we now have two nurses, one mid-wife and a part-time lab technician serving here at Iburu. It took nearly another year to find a full-time doctor willing to serve in this rural area. In June of 2017, we hired Dr. Abel Danhunsa as our first full-time doctor. 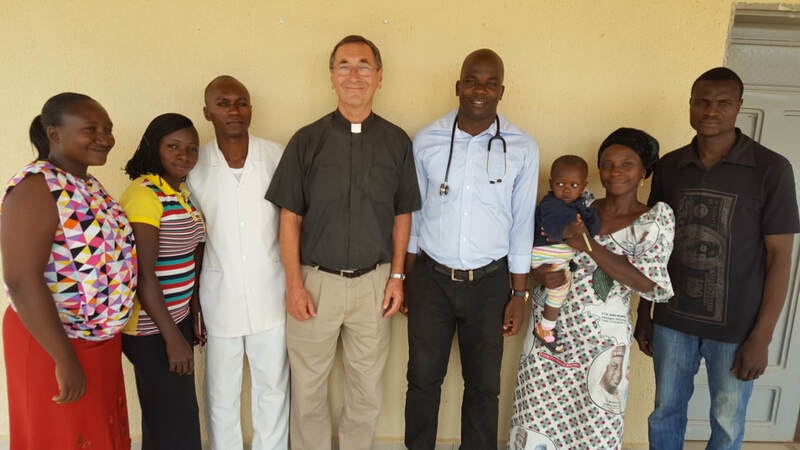 Below are Dr.Abel Danhunsa (left) and Dr. Adekunle Alao (right) who is the Chief Medical Officer for the Diocese of Kaduna. From Dedication Service of Iburu Clinic. Muslim Village Chef who donated the land. 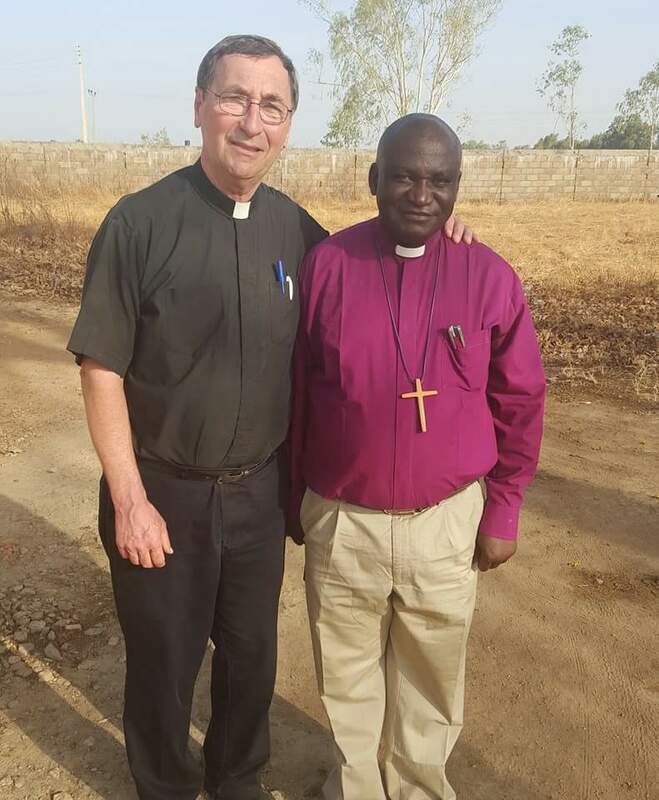 Bishop Timothy Yahaya, head of Kaduna Diocese.